Loop Stand is a simple wardrobe stand that is equally suited for public and private settings, offering a simple and discreet wardrobe solution. 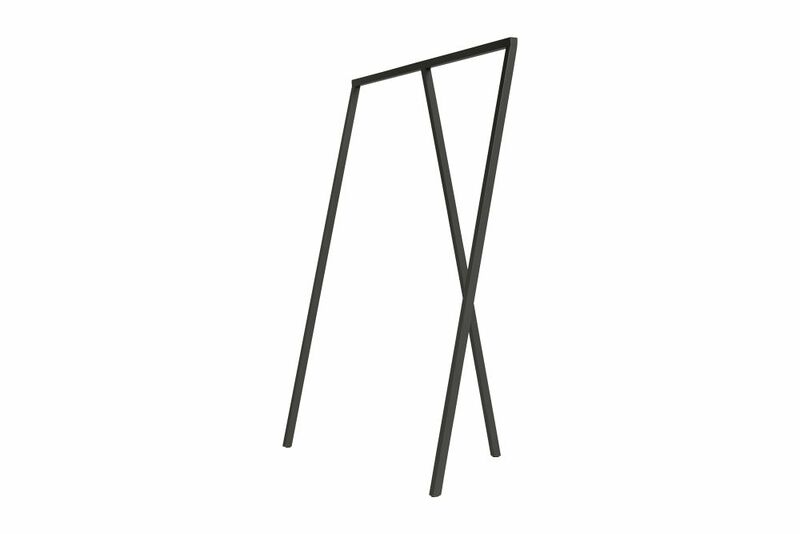 Loop Stand Wardrobe is a larger version of Loop Stand Hall. Based on the same elegant and graphic three-pillared design, it offers a simple and discreet wardrobe solution with increased capacity. Suitable for hanging clothes in a variety of private or public environments. Leif Jørgensen has worked with design for over 20 years and since 2006 he has managed and co-owned BS Architects in based with offices in Dragoer, Denmark and Berlin, Germany. As an architect Joergensen’s intention has always been to connect his design with architecture – as he sees it objects are entirely dependent on their context for meaning. He works with organic shapes commanded by an underlying geometry. By drawing an outline over geometric forms he achieves an organic expression in a controlled form.